People have been curing meat and fish for thousands of years in order to preserve food and prevent it from spoiling. Curing involves adding principally salt, but also sugar and nitrates to meat or fish. The salt draws moisture out of the flesh via osmosis. Bacteria, the reason for food spoilage cannot survive and multiply without the presence of water. The less water that is available for bacteria, the longer the food will remain edible. Smoking, which is often performed in tandem with curing also helps to preserve as it covers the surface in oils that reduce the oxygen within and thus slows bacterial growth and therefore rancidity. Nitrates are used to maintain a pinkish colour to the meat, without Nitrates, the meat turns more of a greyish colour, it occurs naturally in salt as an impurity and its effect was first noted by the ancient Greeks. 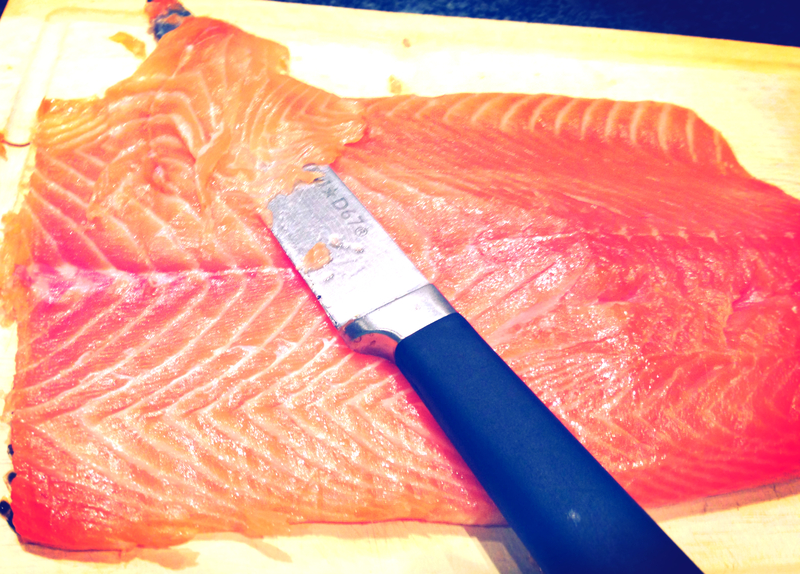 Gravlax, the Scandinavian cured salmon derives its name from grav, the word for grave, and lax (salmon) so essentially the word simply means ‘buried salmon’. In the distant past, Fishermen would bury the salmon that they could not eat immediately in sand, the salt contained within the sand would cure and preserve the fish. Corned beef in the US (salt beef in UK) gets its name from the large pellets of salt or corns that were used to preserve it. In the modern world curing and smoking is not used principally as a preserver but more as a flavour enhancer. Modern technologies of refrigeration, vacuum sealing and canning mean that we are able to preserve meat and fish in their simplest fresh forms for much longer than was previously possible. Although now not necessary for preservation, curing and smoking imparts a complex flavour not simply a salty one. This is partly due to the reduction of water and therefore concentration of flavour and also the oils generated by the wood smoke. In addition to the basic cure, it is possible to generate an unlimited range of flavours using herbs and spices in your cure and marinades. Play around and find what works for you.